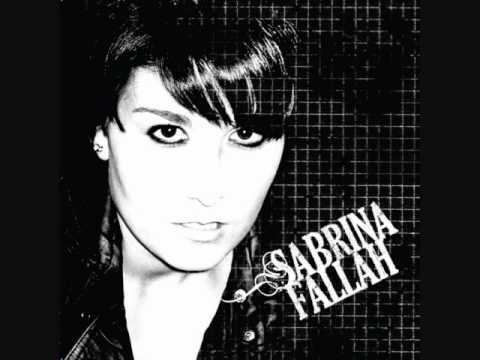 Sabrina Fallah is a rock artist from Ottawa, Ontario, Canada. A natural on stage with her polished vocals to her guitar playing, this talented singer-songwriter has a powerful voice and a lot of personality. Sabrina has already made a name for herself by performing wherever possible over the years. Some of her music influences include Green Day, Bon Jovi and Billy Idol. You can hear a bit of each of her mentors in her original songs where their influences have become a part of her unique blend of style. She performs widely in Ottawa, Toronto and extensively in Central Canada. She has entertained audiences at various Canadian and international venues and festivals, as well as charity events. The first EP of original songs by Sabrina Fallah was recorded in England by producer Stuart Epps, who has worked with notables like Elton John, Led Zeppelin and the like. This was released as her self-titled rock EP on iTunes. Songs from this EP are played on radio, particularly by Canadian, U.S. and European university, college and online radio stations. Sabrina released her single “The Frontline” along with an Official Video in August 2015. Chris Birkett, an award winning producer, produced “The Frontline”. He has worked with some of the biggest names in music: Peter Gabriel, Quincy Jones, Buffy Sainte Marie, Sinead O’Connor, and more. In February 2016, Sabrina made a trip to Nashville, Tennessee where she had the opportunity to co-write with several songwriters and record brand new songs with veteran producer Kent Wells. Sabrina filmed two acoustic videos for two tracks from her EP, which were acoustically recorded. Her new EP “Kiss Is a Killer” and her videos can be heard and seen on her official website as well as on her other social media sites. You can now purchase her EP on iTunes.